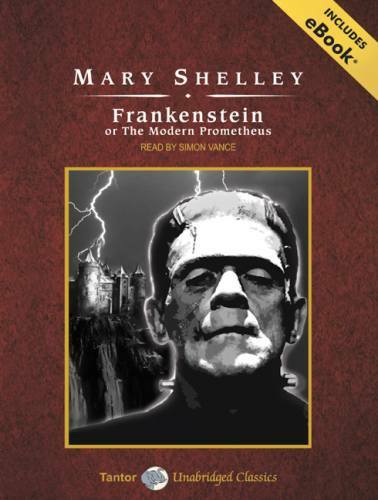 Tantor Media, one of the coolest of the big audiobook companies, is offering a FREE MP3 DOWLOAD, complete and unabridged, of Mary Shelley’s Frankenstein, Or The Modern Prometheus. It’s read by the excellent Simon Vance! As with last time, this might take a little hoop jumping. I had a lot of difficulty getting access to my account. After going through the recovery process, to reset my password, I found I couldn’t enter my name in the “Full Name” field. So, I used another email address and made a new account. That solved it! Mary Shelley began writing Frankenstein when she was only eighteen. At once a Gothic thriller, a passionate romance, and a cautionary tale about the dangers of science, Frankenstein tells the story of committed science student Victor Frankenstein. Obsessed with discovering “the cause of generation and life” and “bestowing animation upon lifeless matter,” Frankenstein assembles a human being from stolen body parts. However, upon bringing it to life, he recoils in horror at the creature’s hideousness. Tormented by isolation and loneliness, the once-innocent creature turns to evil and unleashes a campaign of murderous revenge against his creator, Frankenstein. Frankenstein, an instant bestseller and an important ancestor of both the horror and science fiction genres, not only tells a terrifying story but also raises profound, disturbing questions about the very nature of life and the place of humankind within the cosmos: What does it mean to be human? What responsibilities do we have to each other? And how far can we go in tampering with Nature? 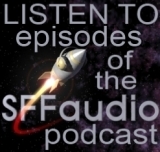 Thanks guys for helping us spread the word. Just wanted to let you know we’ve made some technical changes on our end which should help the download process go smoother. But if anyone has any trouble, please let us know!